Over many years Cranmore has enjoyed the encouragement and support of a generous American donor who has become our close friend. Former Principal Mrs Hamilton and current Principal Mr Doherty wrote a warm tribute to the long standing support and friendship provided by Mr Kevin Curley to the development of Cranmore. In 1993 when I accepted the role of founding Principal of the new integrated primary school in south Belfast I had no idea of the uphill struggle that we would face. I quickly became aware that we needed a name and so we set the wheels in motion for our newly named Cranmore Integrated Primary School. This was to be the realisation of the aspirations of a small group of missionary parents. When we embarked on securing funding I realised that we had embarked on “the road less travelled” as Robert Frost wrote. Those years of hardship were characterised by an enthusiasm and commitment to making a difference to lives of the children who attended Cranmore and ultimately to the divided society. We have come a long way since then. Having started in Adelaide Park we outstripped the site and had to relocate to a new site in 2002. 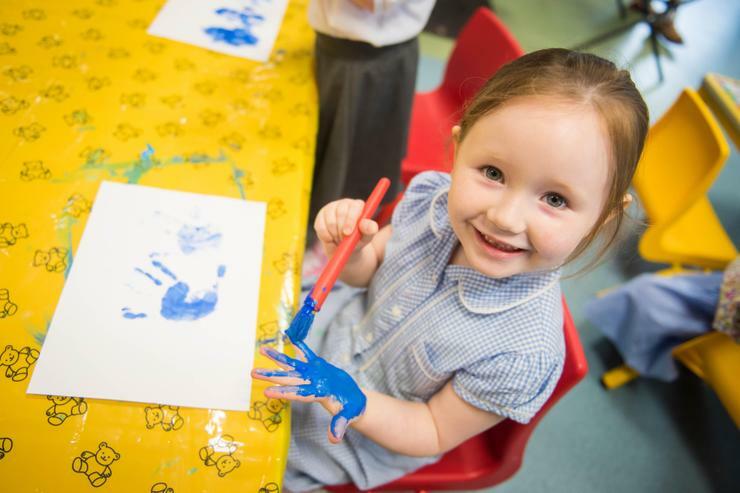 Our success and early years research showed us the importance of bringing children together from their earliest years. This conviction drove us to setting up a playgroup with 6 pupils! Their first year was spent in the school dining hall. When we approached the Integrated Education Fund to help with funding they were totally optimistic about this super guy in Texas who might be approached to help out. As the saying goes “the rest is history” and so a long-stranding partnership began with this big hearted philanthropist Kevin Curley and his family. Kevin, I remember well, our first meeting at the end of August 2004 when you came to Cranmore and the kids put on a special assembly in your honour. They sang the Yellow Rose of Texas and wore Stetson hats. You must have been amused by our endeavour to impress you! Since then you have travelled that “less travelled road” with us and given us the confidence to pursue our dreams. You have been more than generous with your time, support and finances and we, the children, teachers and parents owe you our debt of gratitude. Throughout the years you have visited many time and we have enjoyed chats about our respective upbringing, you as an American Irish guy and me as the daughter of a Bostonian. It was fated that we would get on! There have been so many memories of your visits including the day you came with your golfing buddies and proudly showed them the playgroup that you built. It was touching to see the pride that you felt in having helped build that facility. Little did I know that you would go on to help fund the building of the Sensory Room that is used by our children with special needs especially those on the Autistic Spectrum or that you would be the major benefactor who would enable us to build the magnificent new nursery unit under the direction of the new Principal, Mr William Doherty. Kevin, you have been our generous benefactor and our friend. 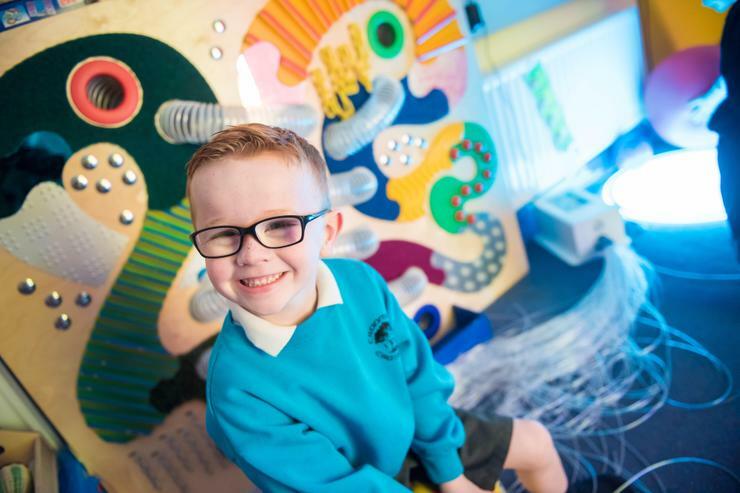 Your generosity and support have ensured that countless children in Belfast from all communities have been given the early start in education that their lives so desperately needed. This has enriched our community and I hope that in training Conor up to carry on your good work he will remain a friend of Cranmore. You have been truly inspirational in your support and I hope and trust that you are being rewarded a thousand fold in your life for all the good things that you have done for others. I hope you will enjoy reading about a few precious memories of your friendship with Cranmore. As we say here “Don’t be a stranger”. With fondness and sincere thanks. Cranmore has reached the milestone of having existed for 25 years. We look back to the past and remember the momentous journey that was undertaken by Helen Hamilton (Farrimond) as its founding Principal with those first group of parents and their dedication and determination to create a school that would heal the deep sectarian divide across our community. Now in 2018 the school is well established, popular and well regarded for the provision and care provided for its pupils. The development of Cranmore would not have been as successful or fast paced without the generosity, kindness and encouragement of Kevin Curley. Kevin we in Cranmore are forever in your debt. 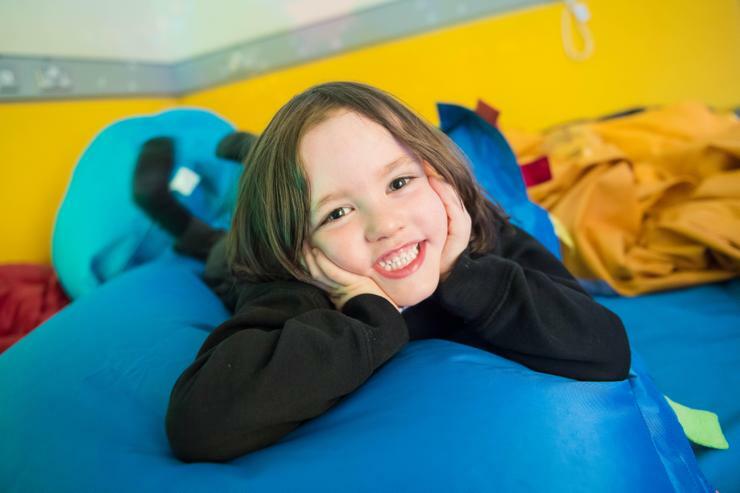 Your support for “our wee school” continues to impact on the lives of our youngest children in the nursery and those children who sometimes struggle and without our Sensory Room would find school a very difficult environment to be in. Back in 2013 when Helen talked to me about her vision to build a brand new purpose built pre-school my thoughts at the time was that the woman has some courage!! I should have known that not only did Helen want a new playgroup building but one which would conform to the Department of Education regulations for Nursery accommodation. I remember well traveling around the province looking at other integrated schools and the accommodation they had, making numerous phone calls with architects to investigate prices and meeting with our friends at the IEF. 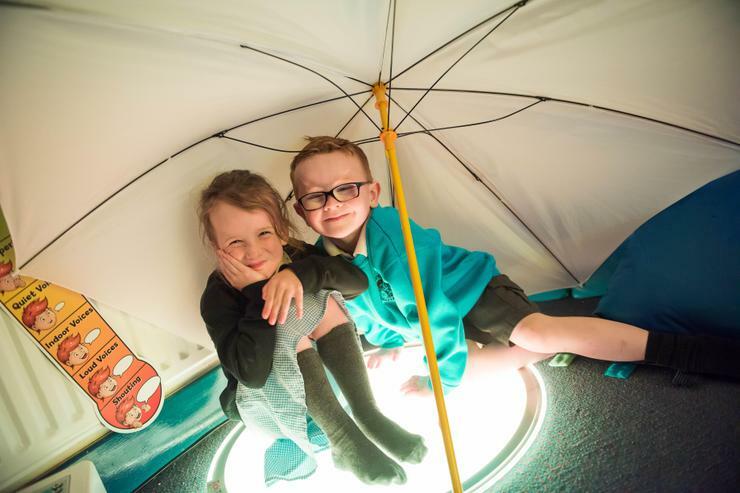 To our sheer delight we could not have imagined that our friend and generous supporter was once again prepared to provide part of the finances which would help us realise our dreams of providing our youngest children with a state of the art, purpose built facility. 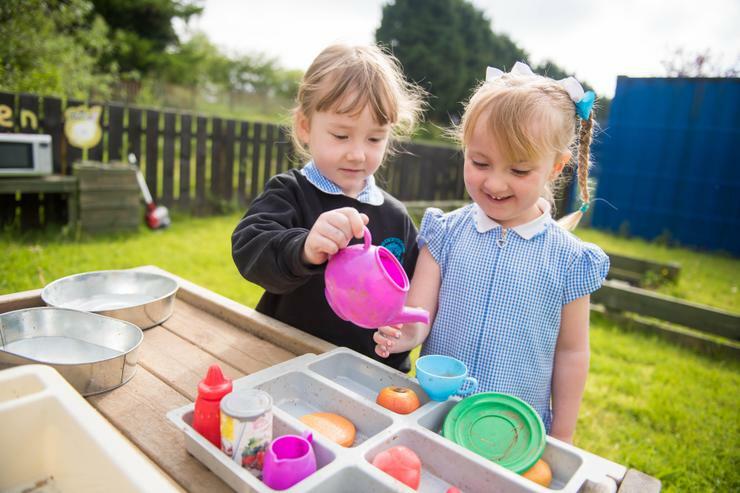 The development of the new building coincided with the Board of Governors agreeing to put forward a third development proposal to establish nursery provision at Cranmore. Having failed twice in the past it was not something we embarked upon lightly. 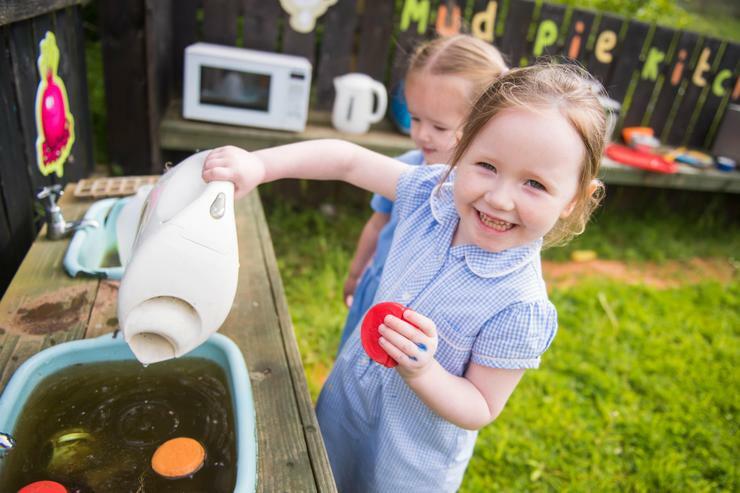 The determination this time was that we could make the argument to the Department of Education that they would get a nursery ‘on the cheap' as by granting the development proposal there would be no capital funding expenses to the DE. In December 2016 the Minister of Education gave his approval for the establishment of nursery provision on our site with effect from 1 September 2016. This was timely for us in Cranmore with the collapse of Stormont a month later and the ensuing years of a democratic deficit. It has always been a pleasure to welcome you to the school and to see your infectious interest in the children and how they are doing. It has spurred us all on and helped us to realise that the little that we do has a major impact on their lives. It is a wonderful privilege in our 25th year to have witnessed the graduation of our first nursery class and to have welcomed them across to the primary school. The future is very bright for Cranmore not least because of your encouragement, kindness and generous spirit.